Step up your stay at Courtyard Philadelphia Lansdale with the help of our modern accommodations and thoughtful amenities. Providing easy access to popular attractions such as Kulpsville, Evansburg State Park, Merrymead Farm and Morgan Log House, our modern hotel is a great spot to explore from. Prior to a day full of sightseeing or conducting business, take care of your work tasks using your room's ergonomic workstation and free high-speed Wi-Fi. In the morning, enjoy a delicious hot breakfast from The Bistro, then return in the evening to sample American cuisine at The Porch. If you're hosting a family reunion or another type of intimate gathering, reserve the restaurant's separate dining room to enjoy some privacy. Want to stay on top of your exercise goals during your stay? Our expanded fitness facility features free weights and cardio equipment, or you can go for an invigorating swim in our indoor pool. Plan a rewarding Pennsylvania getaway when you book a room or suite at Courtyard Philadelphia Lansdale. The Bistro Eat. Drink. Connect. : The Bistro - Eat. Drink. Connect. serves a wide variety of healthy breakfast items along with Starbucks beverages. You'll appreciate the wide selection of starters, sandwiches and fresh fruits. 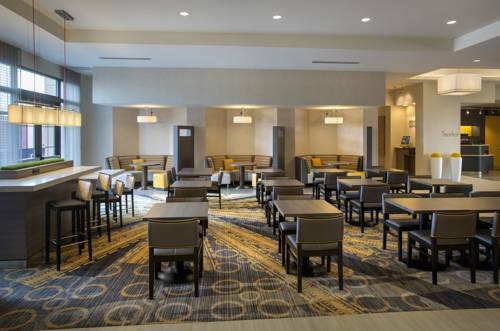 The Porch: The Porch serves classical American favorites for dinner in our Lansdale, Pennsylvania, hotel lobby. You're sure to find something to please your palate with our savory choices and wide variety of cocktails and beverages.